the process of adjusting the spacing between characters in a proportional font, usually to achieve a visually pleasing result. The first "T ypogrphy" uses metric kerning , the latter no kerning (0). Now, is it common to use kerning in this case too like there wouldn’t be a separator in-between the T and y? Note: The sans-serif typeface Arial was used in the examples. You are not seeing the same kerning as in between the "T" and "y". Kerning is applied between characters, yes, but do not forget a space is also a character. If you select 'metrics' in InDesign, it uses the values supplied in the font file. Therefore, the small difference you see must be taken from information in the font. These values differ from InDesign's, because it is in design units. For arial.ttf, this value is 2048. InDesign shows it in 1000ths, so for the T-space it shows 37*1000/2048 = 18 (for kerning, it seems it always discards the decimals). So it seems for this font, the designers ("Robin Nicholas, Patricia Saunders 1982") deliberately chose to ever so slightly kern the most "open" capitals. Other designers will have made similar decisions for other fonts. In most cases, kerning is the spacing between pairs of characters. It is however possible and useful to apply kerning based on a larger string of characters. This is called contextual kerning. Contextual kerning is often needed in characters with negative sidebearings. Most often with a space or punctuation in between. For example, the triplet L apostrophe A. 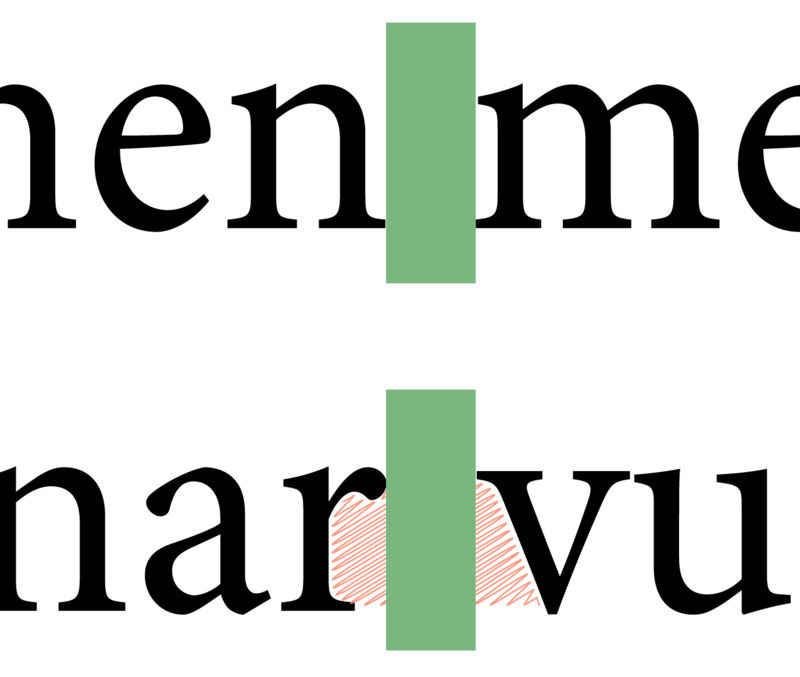 The L apostrophe pair will have negative kerning and the apostrophe A pair will have negative kerning—this may result in the L and A colliding and the apostrophe too close to the A and too far away from the L.
Contextual kerning is supported by the OpenType format but support in desktop publishing software and various text-processing engines may vary. Regarding your specific example of T space y—I don't have Arial to check but I would think it is probably kerning between the T and space you are seeing. I don't have any figures to back this up, but—from my experience—contextual kerning isn't something many type designers implement. After the very long and tedious process of kerning character pairs, not many designers will be too worried about contextual kerning. Especially when it may not be widely supported. In the typeface I am designing now, for example (and I just had to check), if I set up kerning for every possible combination of characters—including punctuation and numerals and ligatures etc—I would have to kern over 45 million pairs of characters. The purpose of kerning is to create equal perceived space between characters. This doesn't only apply to letters, but numbers and punctuation as well. A period next to an n or i sits right next it. A period next a v or r sits further away. Should you kern that? I would say so. What about an apostrophe? The apostrophe sits right next to a capital V but further away from a capital A. It's up to you wether that needs kerning. Most kerning is about the perceived space between characters in words. Kerning spaces is about the space between words. The extra space from an r or v when combined with a space may create the perception of a larger space between words. If it does they should probably be kerned. All of this being said—Every typeface is different. All of these are considerations, not rules. When designing a typeface you will have to weigh up your options and decide what needs to be kerned, what doesn't, what is more important, what is an extreme edge case etc. There are a number of tricks you can use to help with kerning. Kerning with your type upside down is one—which helps you consider the shapes and spacing of the type without focusing on the meanings of the characters or words. These techniques are out of scope for this question—but spaces should be taken in to consideration throughout the process. Not the answer you're looking for? Browse other questions tagged typography typesetting kerning or ask your own question.